This cute and fun decorative wall sticker brings the summer breeze right into your home! 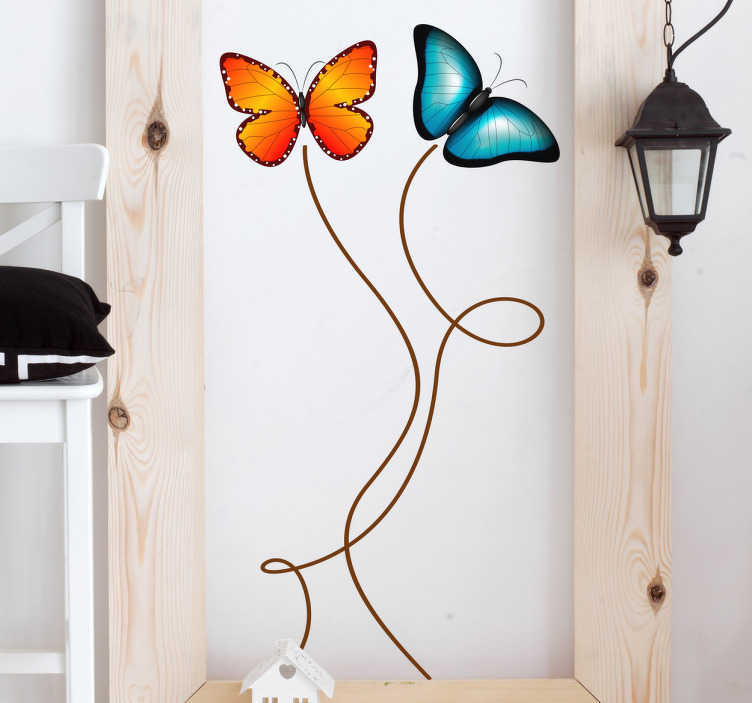 Let this decorative vinyl show your love of butterflies to all visitors to your home! Showing two butterflies flying, one blue and one orange, this adhesive sticker is perfect for any room of the house! Available in a variety of different sizes, and if the size you require isn't here, contact us and we can have a custom sticker made for you!